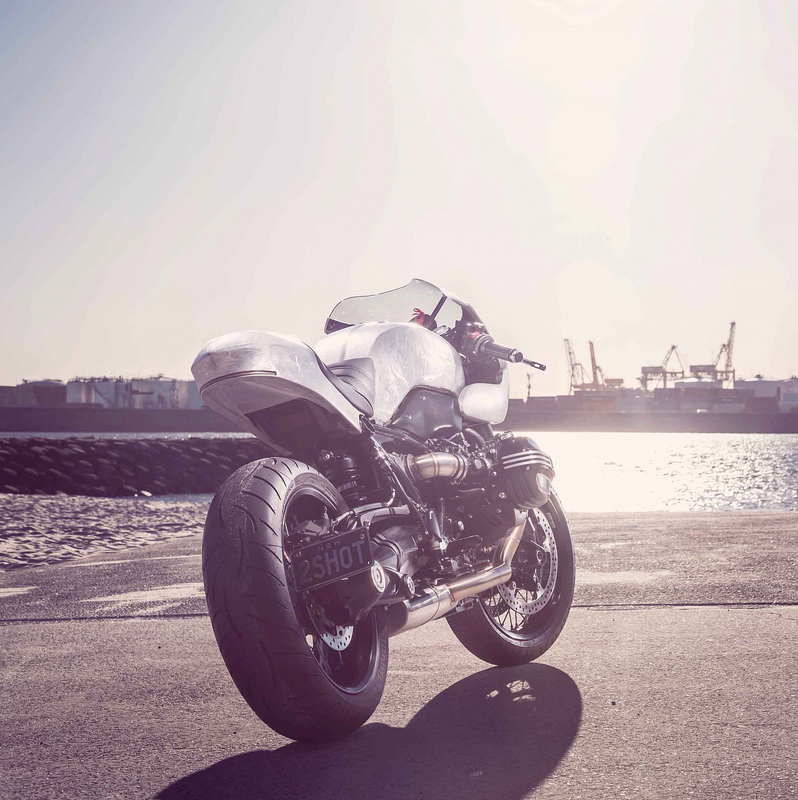 Launched in 2014, the BMW R nineT was designed to be as easy to customize as possible. 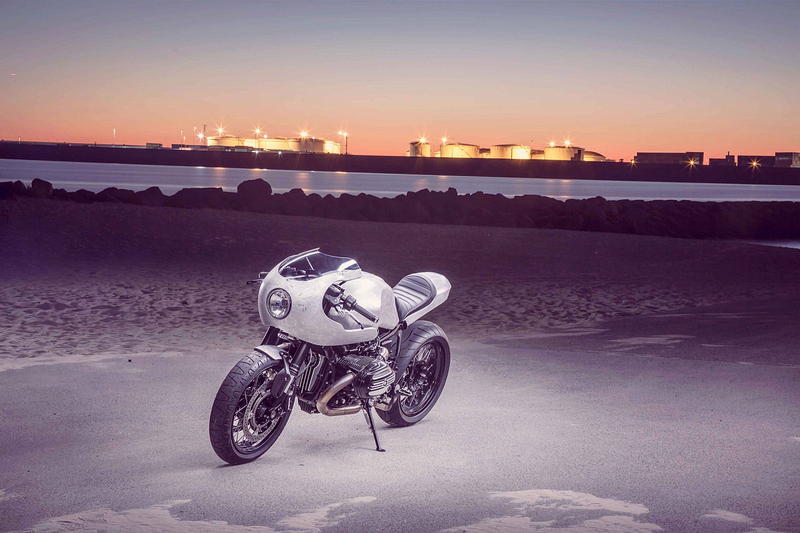 It offers bike workshops a perfect start for creating new motorcycles that maintain, in various degrees, the retro roadster look which is partly inspired by BMW’s iconic R90 bike launched in 1973. 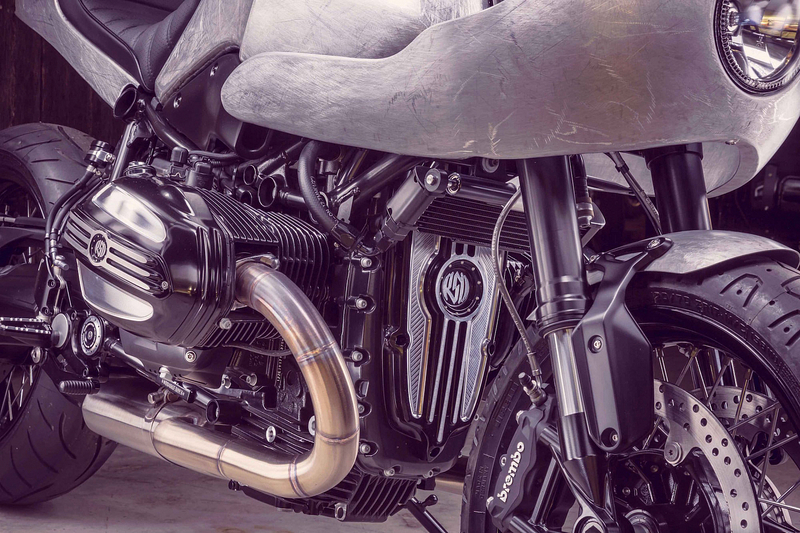 The R nineT features separate chassis wiring and engine harnesses as well as fewer bolts attaching the rear subframe; it comes with a 6-speed transmission, upside-down forks and monoshock rear, a dry clutch, and an 110bhp engine. 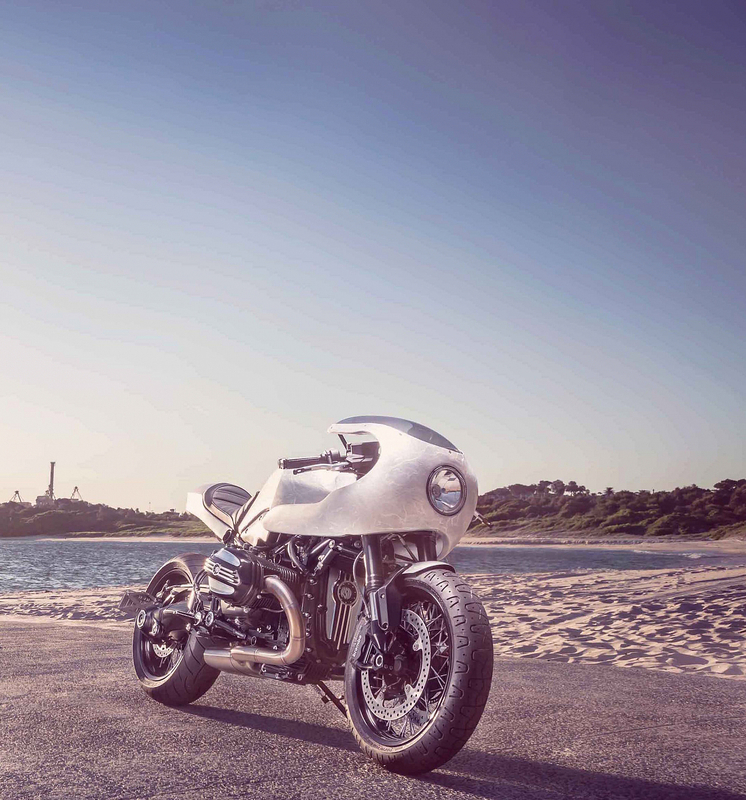 Sydney-based Gasoline Motor Co. took a more creative path when modifying this gorgeous motorcycle, and the result is a blend of subtle retro vibes and sleek futuristic design with a hint of ruggedness. 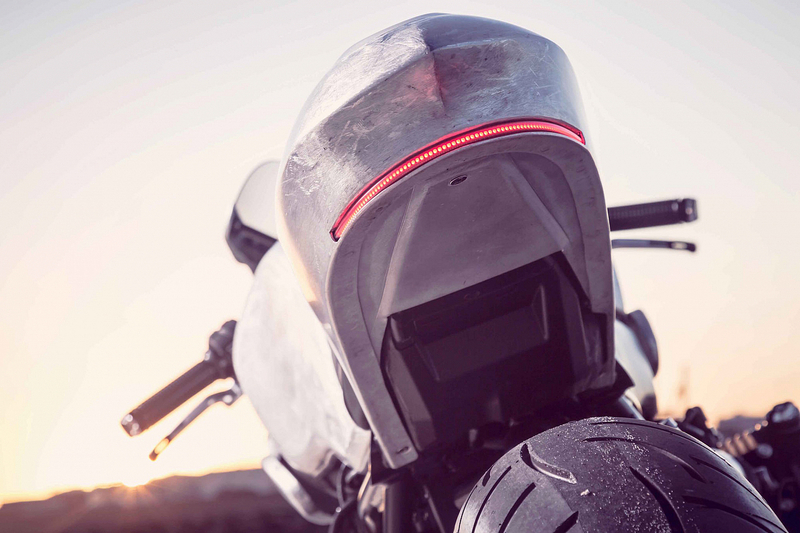 The team installed a new seat, seat pan, rear cowl, and front fairing. 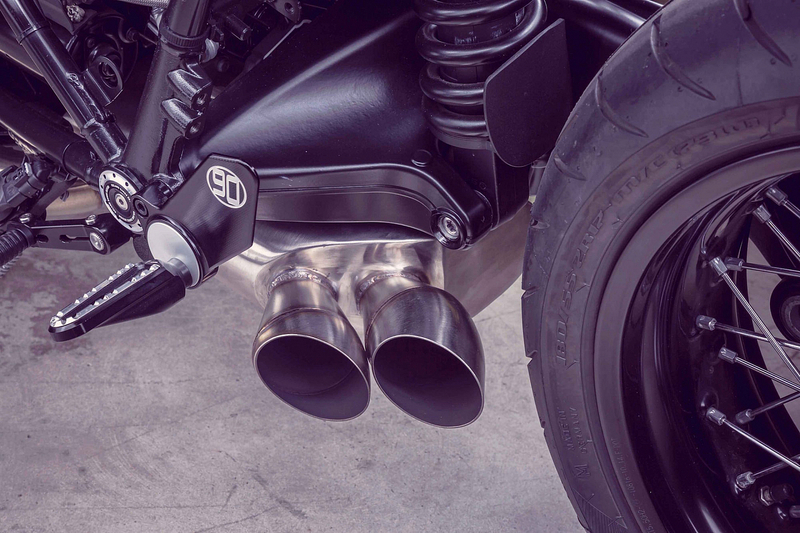 Using aircraft grade 6061 aluminum alloy, the workshop completed all the new metal work by shaping each curve to suit the bike. The surface features an eye-catching texture and a clear matte coating that protects the material from the elements. 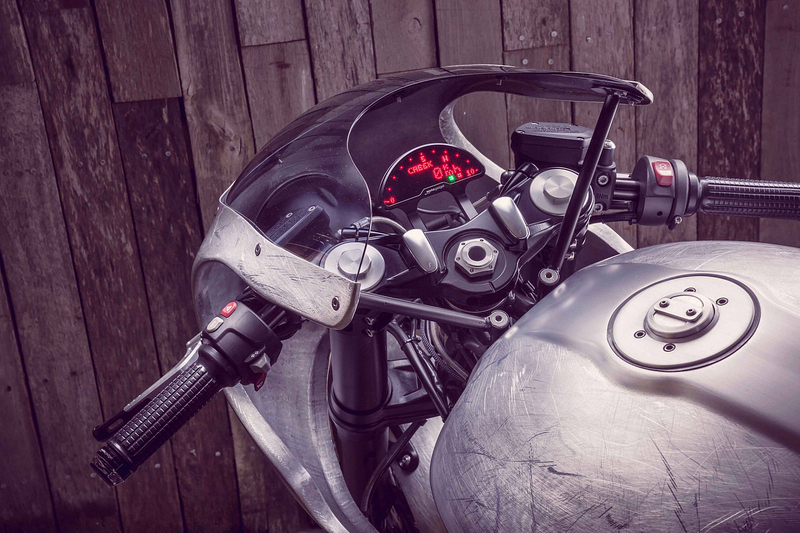 Other additions include a new breast plate and side covers, an LED headlight and a distinct LED tail light blinker, a custom side-mounted bracket for the license plate, a custom 2-into-1 under-box silencer, and a seat upholstered by hand. 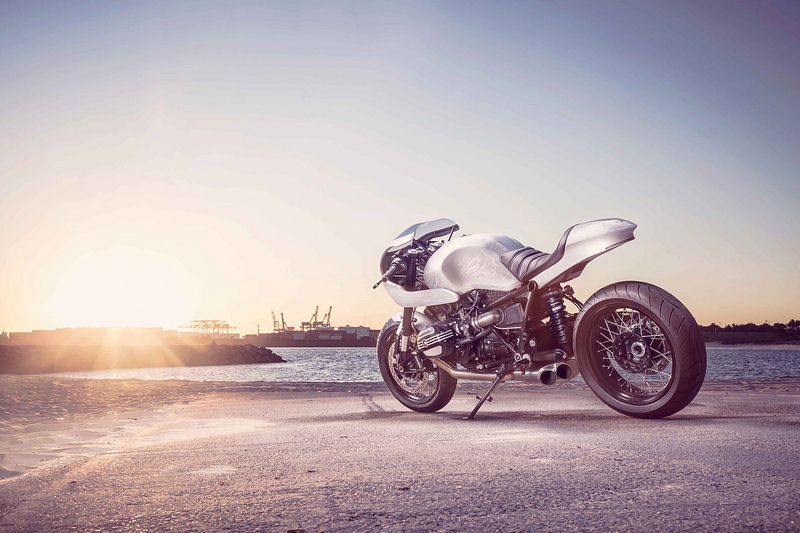 Stylish and distinct, this BMW R nineT perfectly embodies the concept of the motorcycle while also illustrating the creative possibilities of a custom build project.